When you buy one of our Wide Port Bits you will be getting a high quality product for your horse. 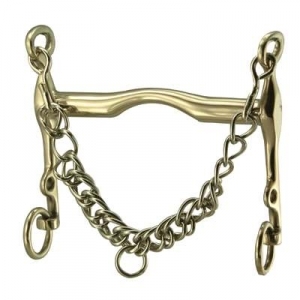 Take a look at this Weymouth Bit that we have in stock. This German Silver Wide Port Weymouth Bit measures 17mm in the mouth and has 3'' shanks. One of the best selling bits is offered here at our online Store. These Horse Bit items are in stock and ready to be shipped here at Horse Tack Now.